Unique visual analysis of the changes and impact of pull requests speeds up code reviews and eliminates architecture drawbacks. For an effective code review, one must use their time to thoroughly understand the change – the changed functionality; all added, removed and changed dependencies; and the impacted modules. Imagine if all those could be visualized automatically! 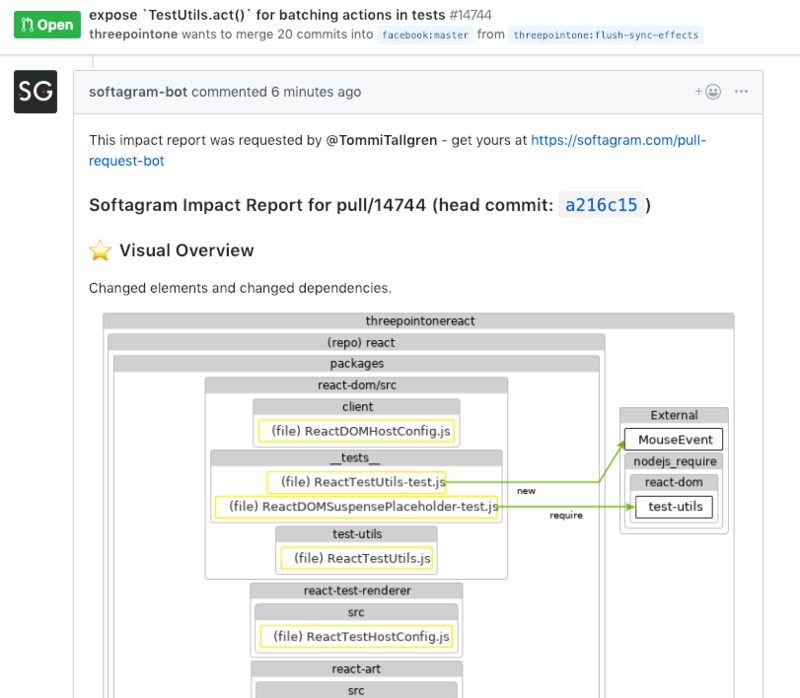 Now it’s possible to activate Softagram pull request analysis for any GitHub project (even multi-repository ones). 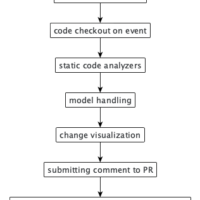 You will get visual change analyses delivered directly to your GitHub pull request’s comments. 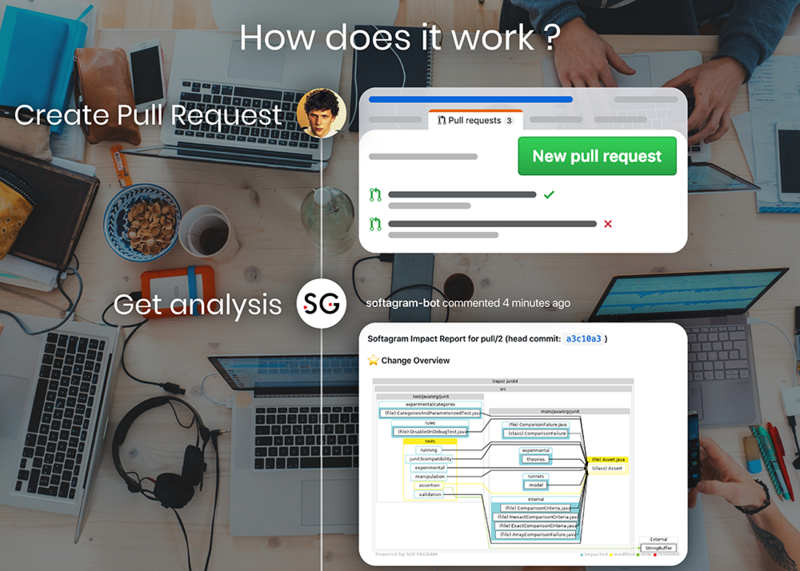 Make your reviewer’s life easier and activate the Softagram analysis and visualization for your pull requests. The beginning of a Softagram-bot generated analysis and visualization of pull request in the React repo. One click to add deep analysis for every pull request. Why do you need pull request visualization? If your development slows down due having to wait days for someone to accept your change. 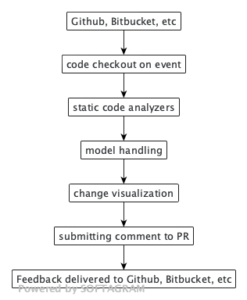 Or on the other hand, as a reviewer you do not have enough time to read the code and understand the impact of the change, you may benefit from visual analysis of the pull request. Technical debt is made in small steps. Fast decisions in pull request reviews for bug fixes or feature development cause low-quality merges and increases the burden of maintenance. 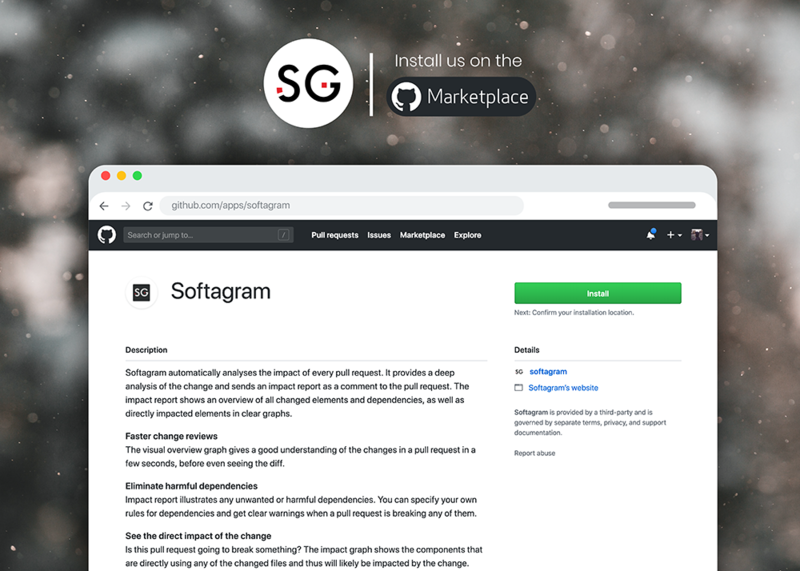 Softagram continuous analytics creates deep analytics from each pull request using machine learning algorithms. The Impact reports show visually the changed files and how the whole system is affected by the change. It focuses on analyzing dependencies and changed dependencies and visualizing them in easy-to-read and informative charts. Impact Report finds the hidden impact of the change, as well as e.g. 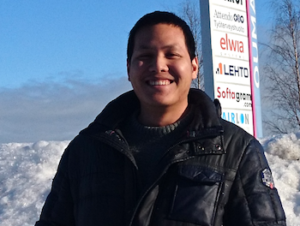 unwanted new dependencies or missing unit tests. Based on user-configurable rules, it can automatically create an issue for the contributor to fix before merging. 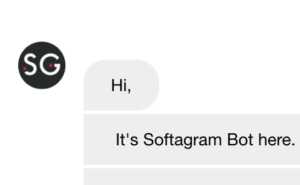 Softagram generates data worth multiple man-hours for each pull request. There could be tens to hundreds of reports generated on every single day for active projects! Providing every developer with their daily dosage of dependency awareness in visual form creates a better understanding of the current situation of the design. 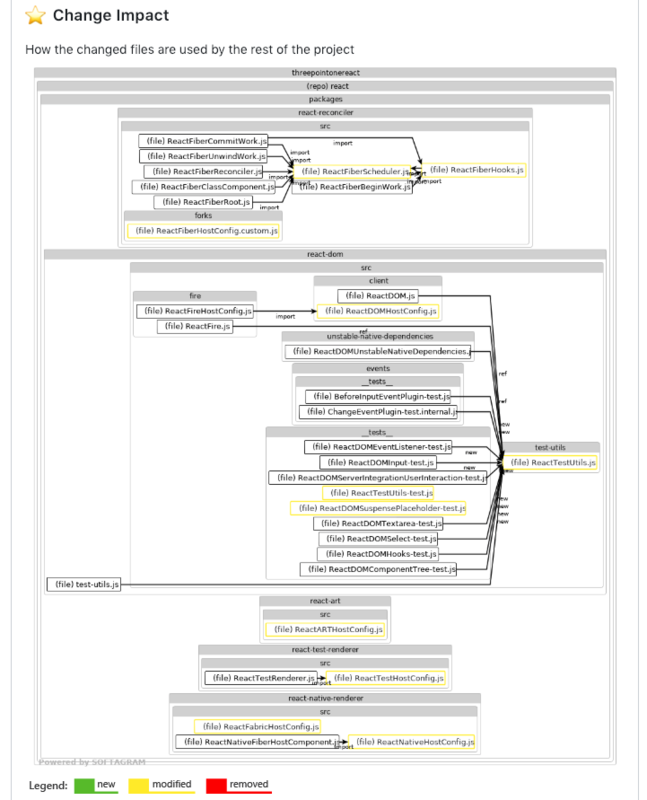 Visual graphs help to discuss and improve the architecture of your software. Faster code reviews and increased quality leads to timely releases of your software and happier customers! 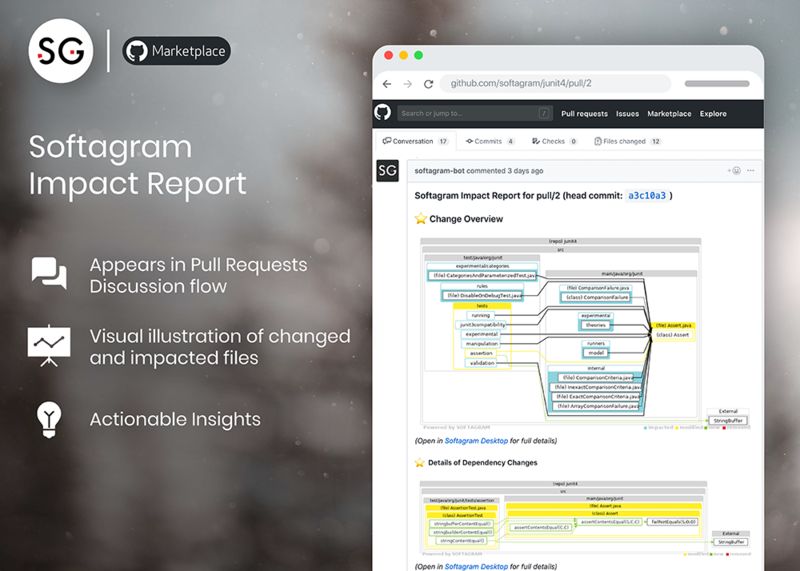 You can also get free impact reports for any pull request on GitHub open-source projects with our pull-request-bot by clicking here. Continuous analysis for open source GitHub project is also possible, just contact us via Chat (below right) or email: customersupport@softagram.com to activate it. For enterprise (on-premises) installations, leave your information below and we’ll contact you for instructions!